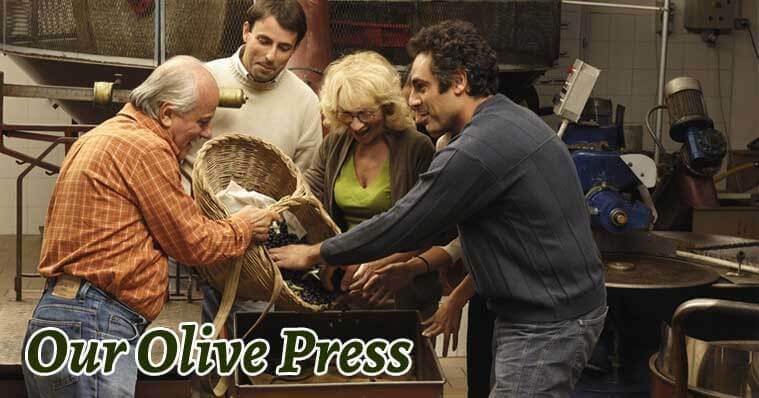 Our olive press embodies a moving historical story: it is operated by one of the oldest Christian families in Galilee, which has been continuously involved in olive oil production for about 700 years! 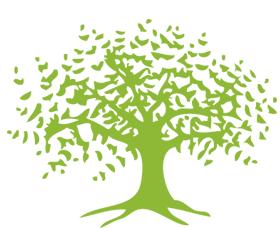 The family lives in the village of Mrar, which was known in Biblical times as the home of the Bilga family, one of the priestly families who served in the Temple in Jerusalem. 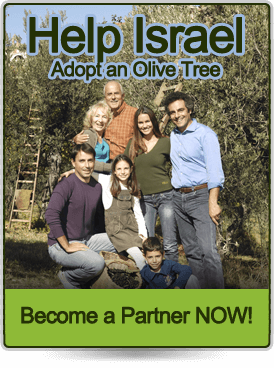 we extract the oil from the olive grove containing your adopted tree. 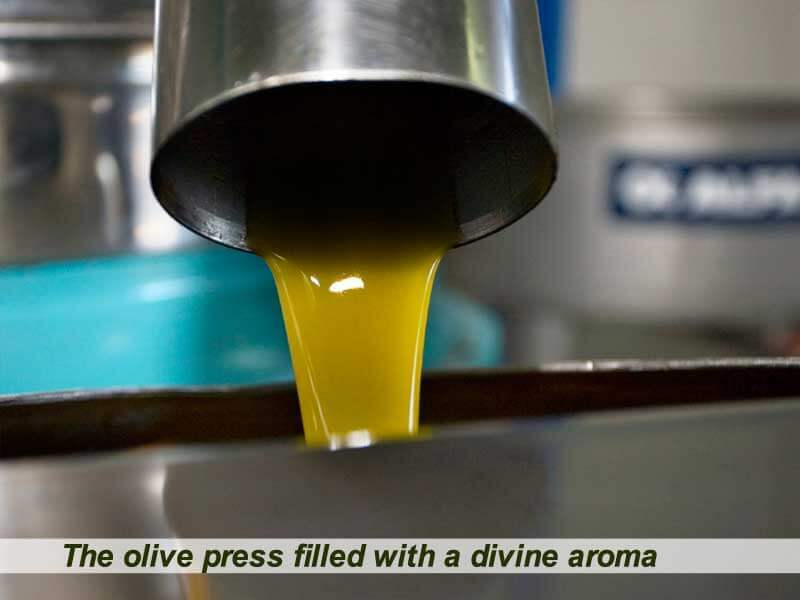 Our Biblical method of pressing the olives gives our oil a rare quality and wonderful taste, probably identical to the taste of the olive oil that was sent from Galilee to the Temple in Jerusalem in ancient times. 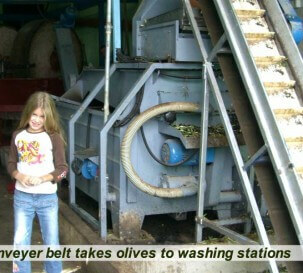 the olives are piled, and a heavy stone that turns, breaking and crushing the olives. 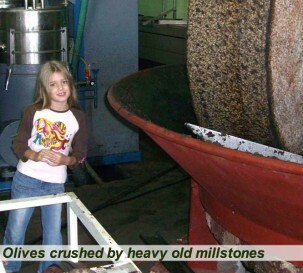 The sound of the stone as it turns and crushes the olives is music to the farmers’ ears, while the wonderful aroma of the oil that emerges is exhilarating. 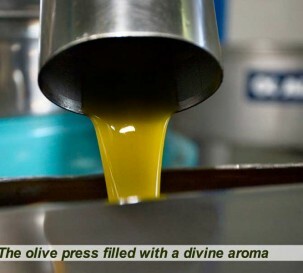 This is exactly how our ancestors produced olive oil here in Biblical times; these were the things they experienced, the sounds they heard, the aromas they smelled. 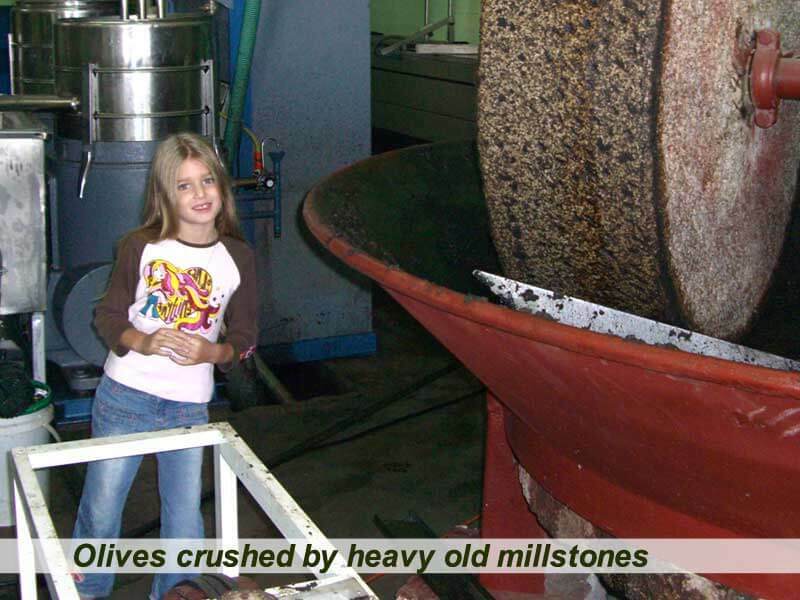 After crushing by millstones, the resulting olive paste is moved to the mixer, which blends the paste and moves it to the separator, where it is separated into its elements – water, oil and waste. 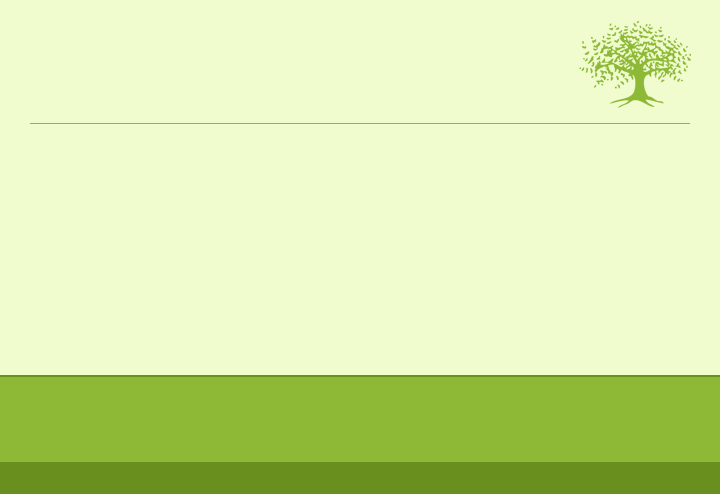 The entire production process is performed without involving human hands. 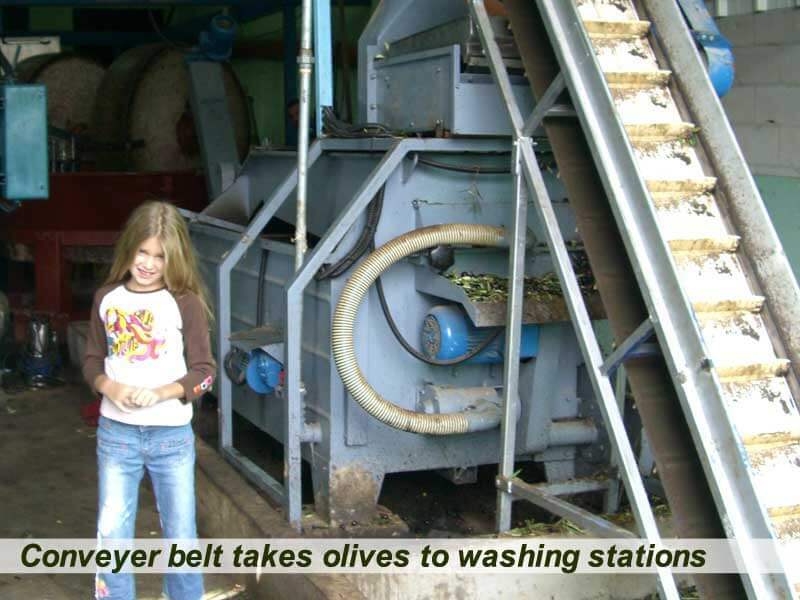 The waste material and the water are sent to outside containers, while the oil flows into climate-controlled stainless steel vats, which preserve the quality of the oil. 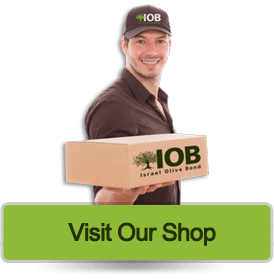 From here the oil is pumped into the bottling system, and the filled bottles are sent to our logistical center, for packing and shipping directly to your home. 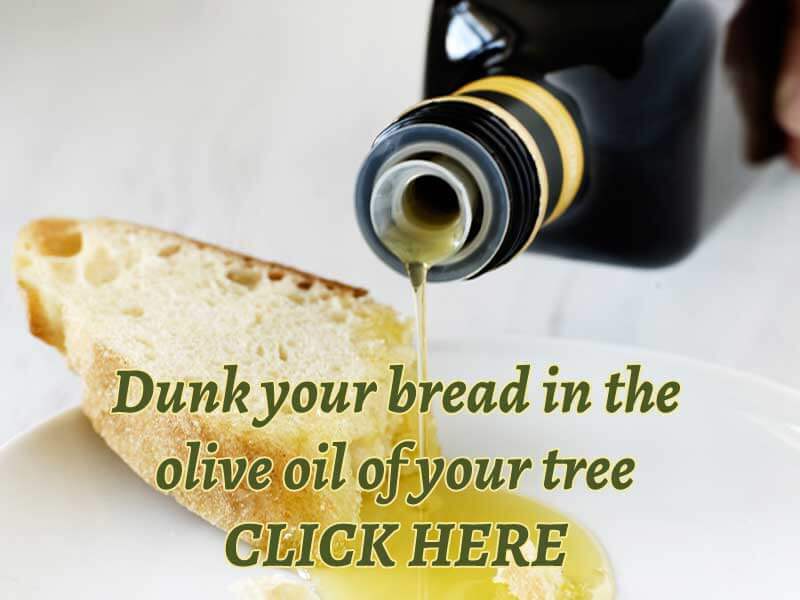 The World’s Best Olive Oil – Guaranteed! 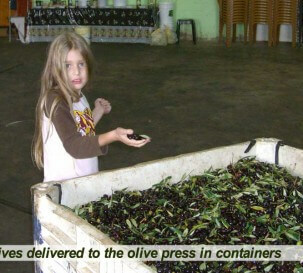 The high quality of our olive oil been recognized by the Israeli government: The unique method for extracting olive oil developed in our olive press, combining Biblical processes with modern technologies, creates some of the world’s best olive oil. 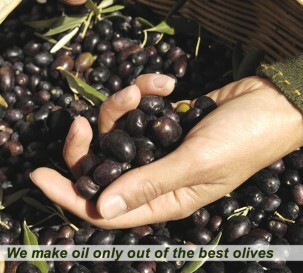 We are committed to one of the lowest levels of acidity – always less than 0.8; and the high concentration of nutritional values (which has been tested and demonstrated again and again in laboratories) have made our olive oil a byword for quality in the whole world, with its unique quality, and wonderfully exhilarating taste and aroma. 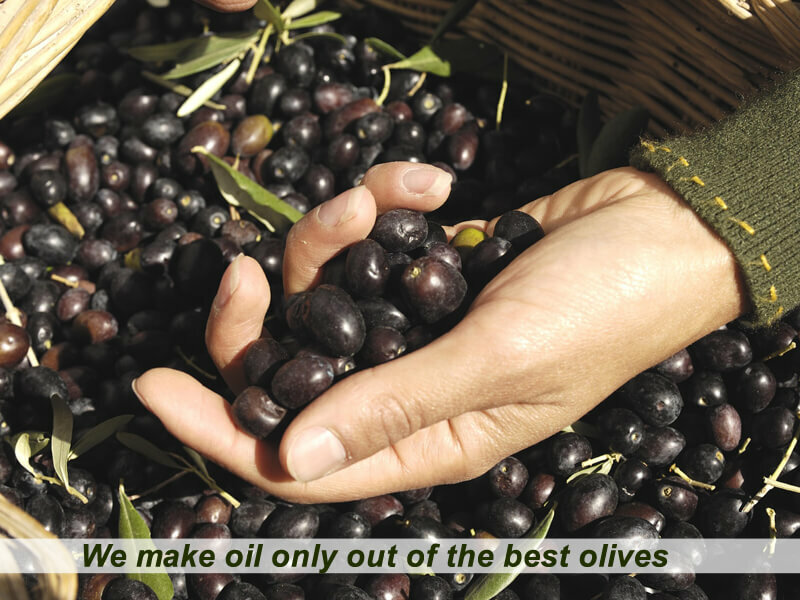 Our olive oil is extra virgin cold pressed, which means that we do not use heat to extract the oil; heat can increase the oil yield but affects the oil’s quality and nutritional values. 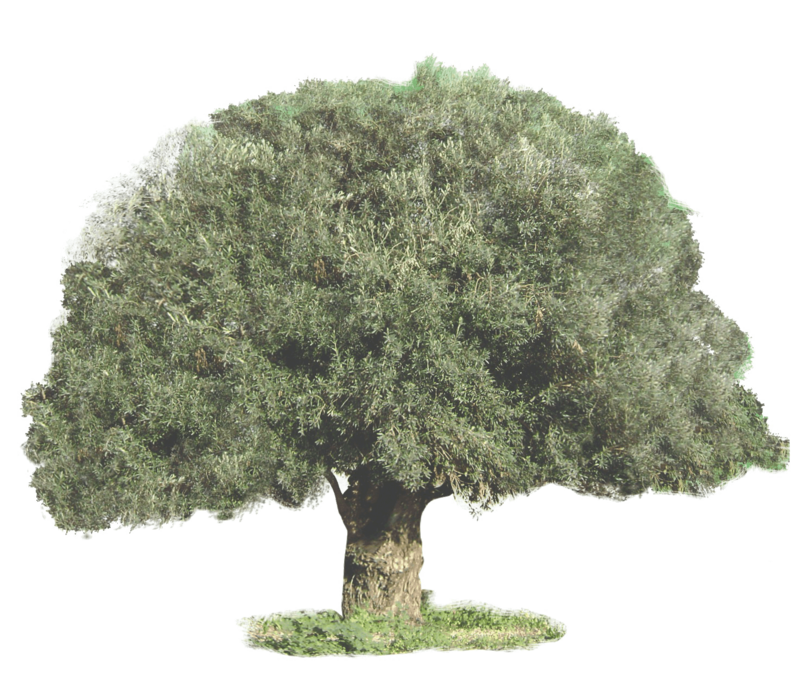 The high quality of the oil produced in our olive press has also been recognized by the Israeli government, which has granted our olive press, through the Plants Council of the Ministry of Agriculture, the right to stamp our labels with the product quality symbol. 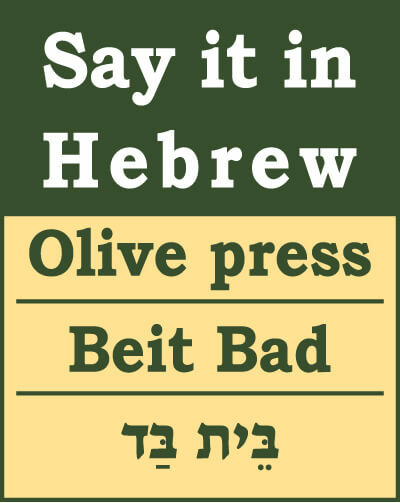 This symbol is the government’s confirmation of the highest standard of quality, and only the best olive presses in Israel are allowed to carry it. Each and every bottle goes through strict quality control, and each bottle has its own unique number, stamped next to the quality symbol. 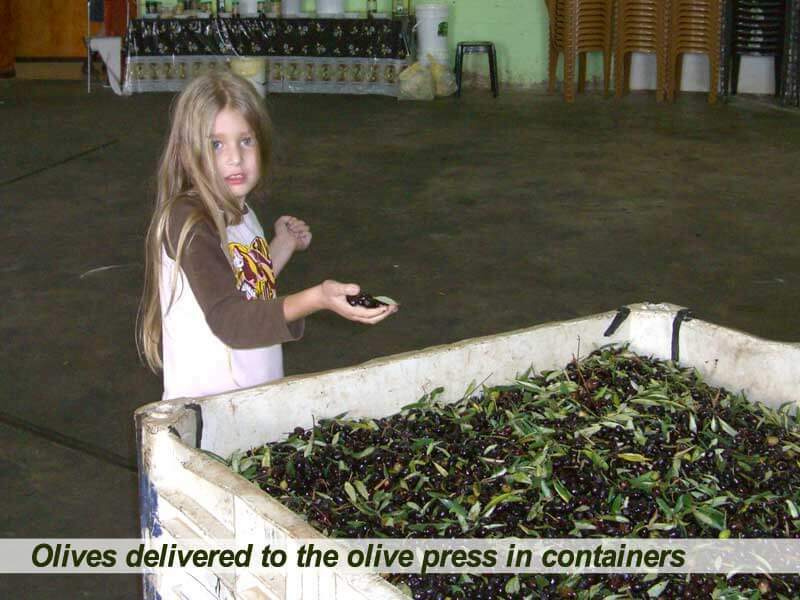 And indeed, the Israeli Ministry of Agriculture is not alone in recognizing the rare quality of the olive oil produced at our olive press. 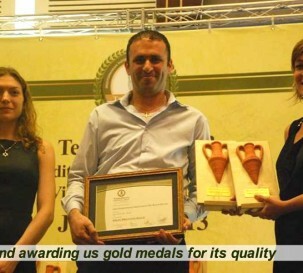 At food events, gourmet and olive oil competitions, testers and judges have expressed their appreciation of our oil, and in recent years we have won first prize at several important and prestigious competitions, in Israel and worldwide. 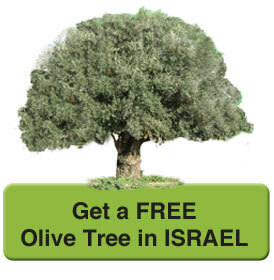 Our olive oil is kosher under the supervision of the Rabbinical Office of Israel and has all the required FDA approvals. 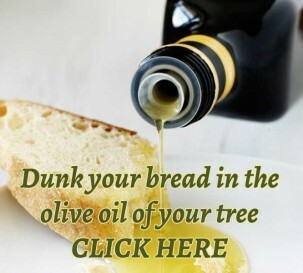 “…He who sees olive oil in a dream, shall see the light of the Torah” (Breshit Rabbah 27).